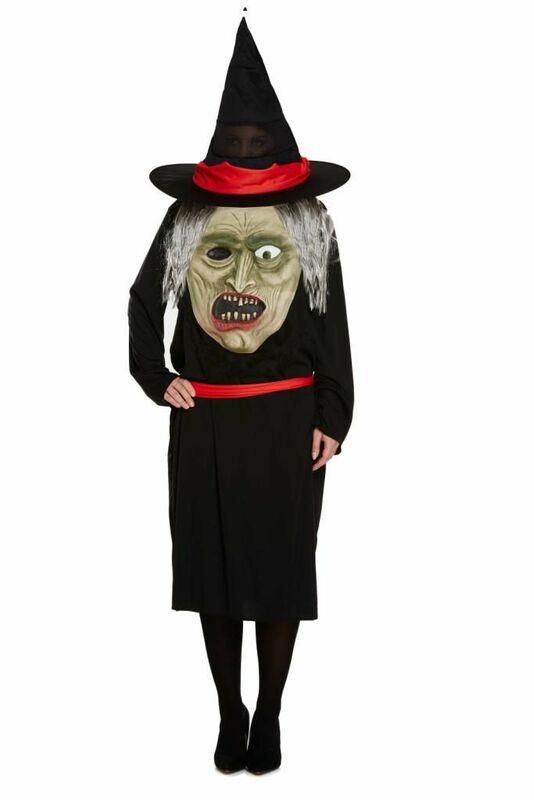 Woman's Adult Witch Costume with Big Head Design. Designed to appear as if walking costume, Head sits inside hat at the top of the costume. Great Costume for Halloween.